I finished two quilt tops the weekend before Christmas, and I’m happy to report that I like how they turned out. 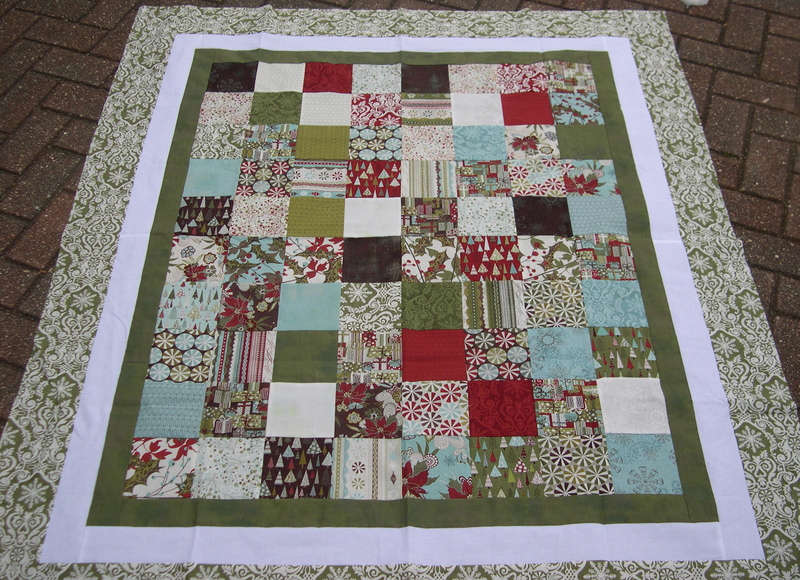 For the quilt above, I used two charm packs of 5 inch squares from the Figgy Pudding collection for the center, and added three borders to make it big enough for an adult to snuggle under. 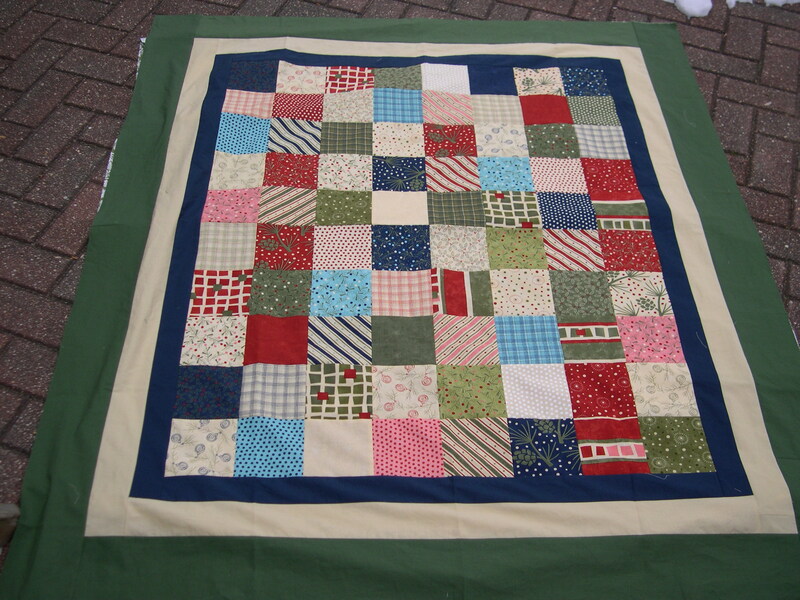 I’m going to use a fabric for the backing that is in the lower left corner and probably green for the binding. 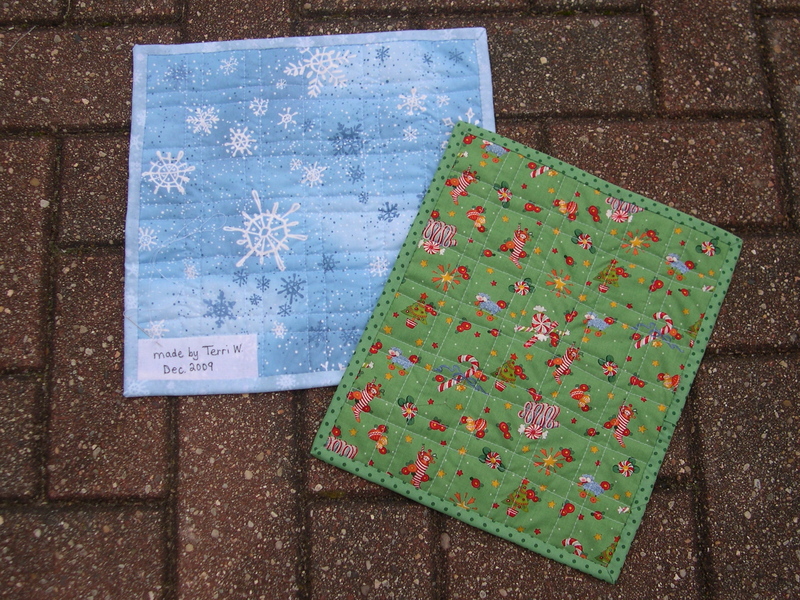 For this second quilt, I did the same, with two charm packs of 5 inch squares from the Crazy Eight collection. Since I ordered these charm squares a couple months ago and now this fabric was impossible to find, I’m not sure what to use for the backing and binding. 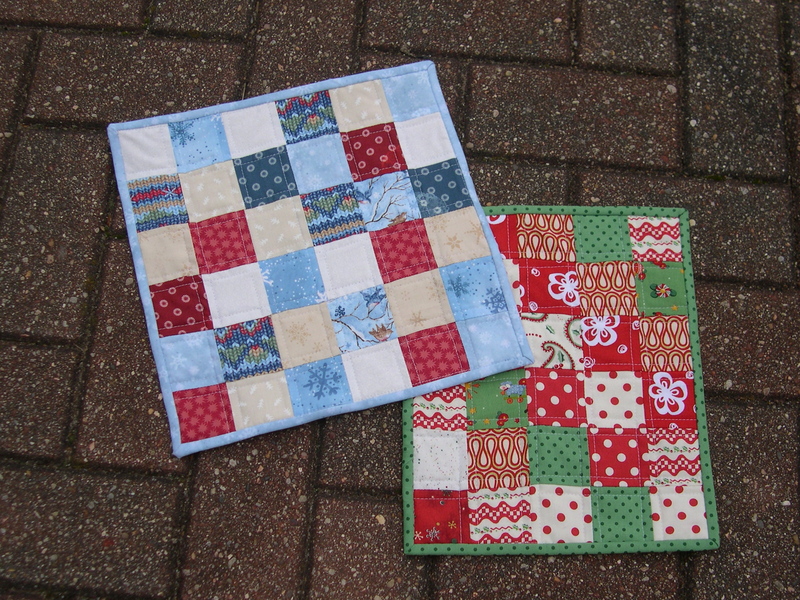 Oh yeah, I finished my mini quilts too! I think the backs look almost as fun as the fronts. If I hadn’t had anything else to do these past couple weeks, I may have been able to finish quilting these new quilt tops, but since I was super busy at my day job, and the Christmas holiday was just upon us, I will add these to my (small) pile of UFOs for a 2010 resolution. I only had three unfinished quilt tops before these, so I’m hoping to finish all of them in January. Great quilt tops and minis! It must feel great to have accomplished so much. I hope to have that feeling soon :). These are just beautiful!!!!! Quite an accomplishment! Love the Figgy pudding fabrics. Your quilts are beautiful and congratulations for getting so much accomplished. Yea!! Good job! I love the fabrics in these! I was just looking at my stack of UFO’s, I hope to make some good progress over this 3 day weekend. We’ll see! Happy New Year! 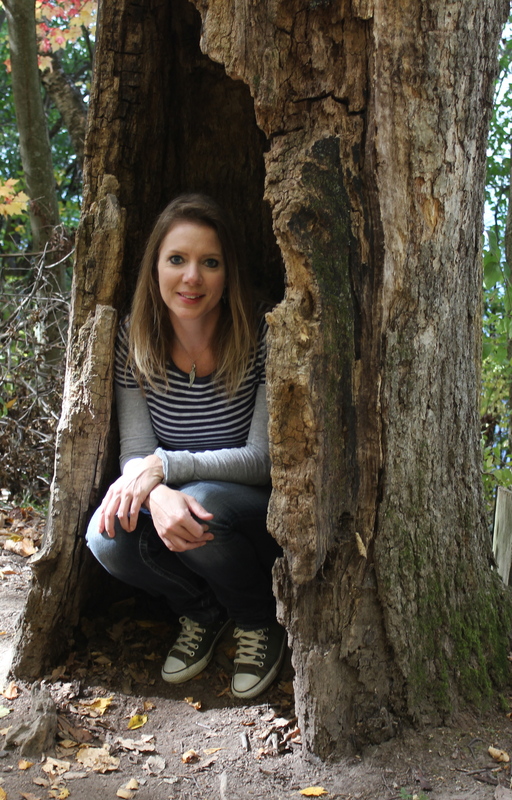 Looking forward to seeing more of your great ideas and projects in 2010!